Courtesy of James Oliver, Jr.
Ahhhhh, parenting-arguably the most challenging and rewarding thing you will ever do in life. Then there’s entrepreneurship. Since eighty percent of new businesses fail, you gotta be at least a little crazy to be an entrepreneur. If you combine being a parent and an entrepreneur, well, now you’re just asking for trouble! I kid, but if parenting is one thing, and entrepreneurship is another thing, being a Parentpreneur is a third thing that is even more challenging and more rewarding. So if you’re a super-hustling Parentpreneur, I see you. I feel you. And I got you! 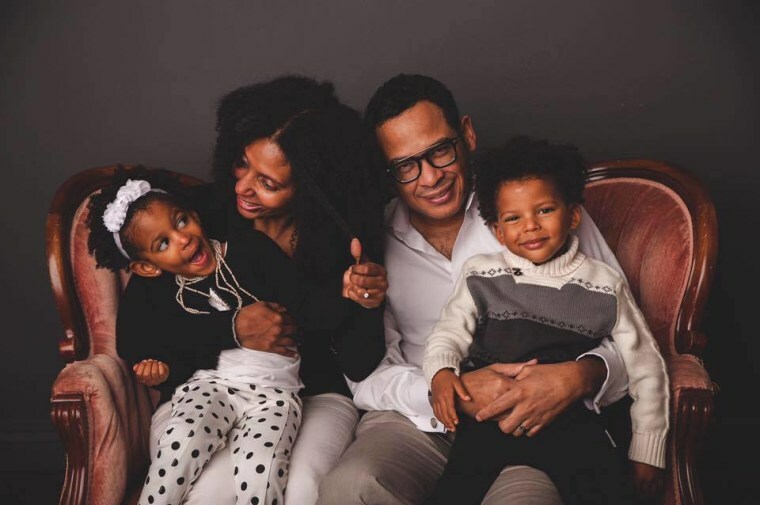 Here are a few lessons and tips I’ve learned on my journey launching a business, while raising my beautiful four year-old twins, Zoe and Thaddeus. Cover of "The More You Hustle, The Luckier You Get: You CAN Be a Successful Parentpreneur" by James Oliver, Jr.Courtesy of James Oliver, Jr.
At one point, I was a work-at-home dad who took care of my twins when they weren’t in daycare. In between taking them to school, library time, and gymnastics, I was working hard to get much-needed PR for my business, create and execute business strategies, answer customer phone calls and e-mails, and respond to live chat messages from users. My business at the time wasn’t exactly killing it, and was not reducing enough financial pressure to let me be the provider for my family I expected to be. My brain was always churning, thinking of ways I could get more website traffic, convert more users to happy, paid customers, and pay myself more. As a result, I was not always present and was not appreciating just how amazing and adorable my kids are. Thanks to a friend, I realized I had to cherish every day and celebrate the precious moments I saw with my kids. So I started posting daily videos and photos of my kids on my personal Facebook page using the hashtag #Cherish365. Every day you will see your kids do things you will cherish years from now when you look back. So remember, these are the good old days, and choose to appreciate them now. Most people who purport to be influential aren’t — and people with tons of social media followers probably can’t help your sales. James Oliver, Jr. and his family.Courtesy of James Oliver, Jr. Sales makes everything better! Every entrepreneur knows there will be occasional customer problems. Sometimes it will be your fault, sometimes not. But it doesn’t matter. Problems present a wonderful opportunity to turn customers into advocates of your product or brand. How do you do this? Simple. Just respond to customers quickly and do whatever you can to fix the problem – even if it costs you money. Yep. That’s right. Offer customers with problems credits on future purchases. Offer a partial refund if they’re angry. And a full refund, if they’re really angry. This approach will turn upset customers into loyal, repeat customers and advocates who will tell their friends about your business. And more money in the bank makes life at home a lot easier. Mental health is everything. If you’re an entrepreneur, feeling anxiety and fear is probably something you experience regularly. Managing fear is the most important thing you have to learn to maintain your mental health, which matters because a positive frame of mind leads to better results for your business and your family life. Conversely, a negative mindset, brought on by fear, can keep you from making the connections you need for your business — successful people don’t want to associate with negative people. And a negative mindset often prohibits you from receiving the inspiration you need to move your business forward. 1. Recognize that you may be afraid or anxious when you’re feeling that way. Don’t beat up on yourself or get upset about it. Wave hello to those old friends, fear and anxiety. I AM a great dad to my twins and a great husband to my wife. I AM a creative, spiritual being. 3. And finally, there is meditation, which is the only thing that consistently keeps the anxiety monsters from churning my stomach to a pulp. Just five to fifteen minutes a day of meditation can make a huge difference for you to have a calmer, more positive mindset, which will help you be a better entrepreneur and parent. Sometimes when you think you lose, you win. And finally, when things seem to not be going your way, they can take an unexpected turn that works out completely in your favor. So don’t fret.